Classical music is considered “classical” for a reason, as it is among the oldest genres of popular music. Not only can it make for soothing listening, but there are also studies that show significant auxiliary benefits to listening to this music, such as increased blood flow to the brain and a temporary boost in IQ. Classical music can contribute to a pleasant atmosphere and relaxing environment. 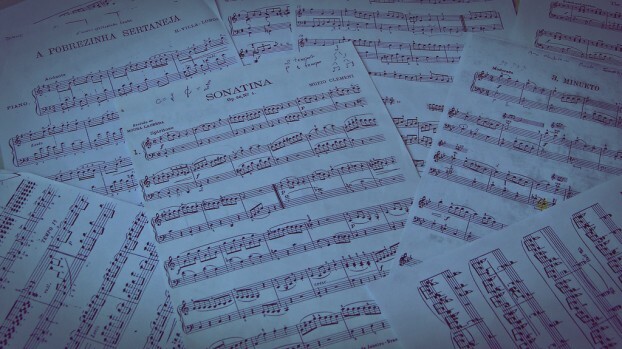 However, there is so much classical music out there to choose from that it can be hard to know where to start. Below are some suggestions of classic pieces to play in your home. This is one of my personal favorite classical pieces. Though some consider it stripped down compared to other classical arrangements, it is nonetheless a moving and invigorating piece. It is also a much shorter work than the other suggestions on this list. This particular piece dates back to the early 18th century and has been used in movies and television regularly. The New York Times selected Bach as the greatest classical composer of all time, and this piece is a great example of why he has garnered and maintained a large following during his life and after his death. Starting at just eight years old, Mozart composed three dozen symphonies in just sixteen years. Some consider Symphony No. 40 to be one of his finest works, though it is rumored that Mozart never actually heard it performed. Fortunately for the rest of the classical music-loving world, we have. This piece of music appeals to everyone, and is upbeat while taking the listener through a diverse soundscape. This is one of the most highly regarded symphonic pieces of music ever composed, written by one of the greatest musicians the world has over known. This is a perfect gateway piece for those looking to get into classical music, and is ideal for creating a soothing mood around your home. Classical pieces can be much longer than most modern music, which is a good thing if you are looking to keep the mood set in your home. This particular piece was written late in Beethoven’s impressive career and clocks in at over an hour long. Symphony 9 was the culmination of several ideas that Beethoven had over a long period of time. As far as classical pieces go, there may be no better available, particularly if you are new to the genre. These pieces are just the tip of the iceberg when it comes to classical music, but will offer those interested in the genre a means to create a pleasant home environment. One nice thing about classical music is that there are many ways to obtain them cheaply or free. Most classical music is in the public domain, and can be found online. Department stores also feature very reasonably priced box sets from classical composers that offer hours and hours of listening. Also, music-streaming services such as Spotify and Pandora offer a great option for discovering and listening to classical music at home. Francis Brooks is a freelance writer focusing on music, entertainment, culture & history. Fellow music lovers can indulge their habits by visiting Mood Media. Image credit goes to renata.f. Next story Britons Are Cutting Back On Taking Holidays; What Are The Contributing Factors?